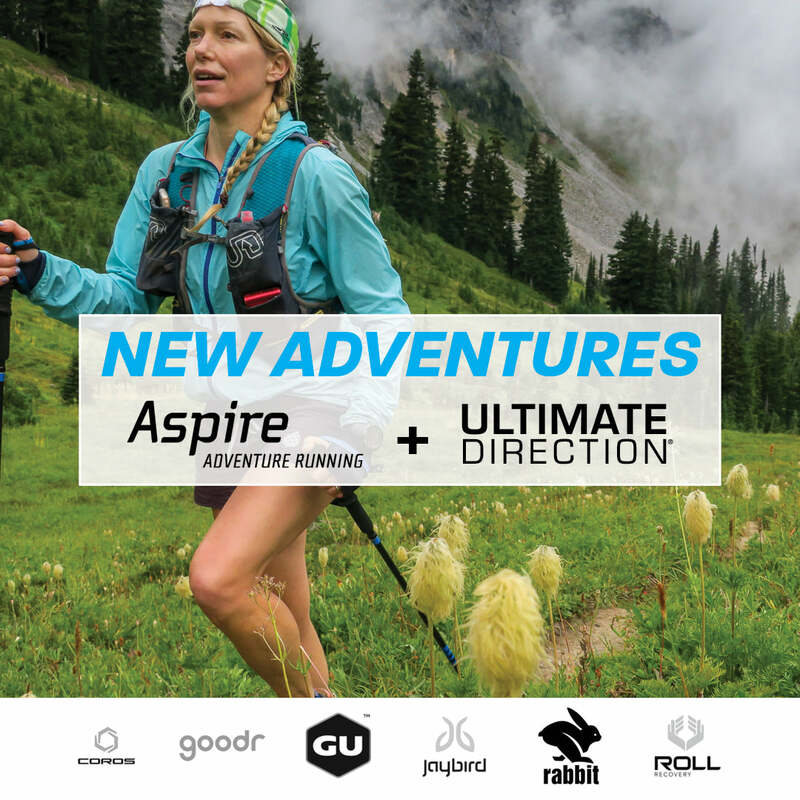 ROLL Recovery is proud to participate in the “New Adventures” Campaign hosted by Ultimate Direction and Aspire Adventure Running. Together we have collaborated on a gear package and logistics support to help you safely and confidently explore some of the most wild and iconic spaces in North America. Sign up today for your chance to win one of three destination adventures, equipment, and airfare packages that will get you running in wild places. Sign up today for your chance to win one of three destination adventures, equipment, and airfare packages that will get you running in wild places. In Praise of the Snaggletoothed Places…those ragged, dank, unmarked, up-mountain, down-creek corners of the planet where few people venture. Let us celebrate the wild nooks that remain, those countercultural, punk rock ecotones tugging at our dreams and screaming their anthems in a language older than words. Landscapes sculpted, not by man, but by the collision of continental plates, the rupture of volcanoes, the clawing glaciers and the relentless washing of waves, rivers and winds echoing and eroding. These are our nation’s vast wilderness areas, undomesticated and unconventional. These are lands which disavow race results, reject conveniences like port-a-potties and almond milk lattes. They are the anti-modern, the disconnected, unplugged, analog refutation to the digital distractions of our lives. Wilderness, by design, is a place where man himself is a visitor who does not remains. As such, our time in wilderness is ephemeral, a retreat from our otherwise “normal” lives. Wilderness reflects back on each traveller an authentic self. In the wilderness pretense and posturing are crushed by the contours of the land. Wilderness holds no malice, only mystery. Moving through these spaces we become self-willingly human and alive. We move to the rhythm of some ancient dance, aligning with the reverberations of forces that shaped the land. As we run, scramble, duck, and leap through their rugged terrain, we remember that all life works this way: the sharp swerve, the occasional log leap, the challenging chug-a-lug of a never-ending uphill section followed by the rewards of a downhill whoosh that makes you feel light and free and childlike. Adventure: it’s out there, just as it exists inside us. Our hearts beat most happily in shared cadence with these—the snaggletoothed places. This call to wild spaces is real. It’s biological. The call beckons to runners as they increase their capacity and confidence to push further and deeper into the unknown. But wilderness immersion requires planning. It requires extensive preparation. It requires that we first have proper gear and updated maps, permits and route contingencies. Logistics matter more when seeking new adventures in unplanned environments. The stakes are higher. And unlike curated races where you can often shut off and follow the pink ribbons, wilderness outings require adequate safety precautions paired with a bedrock of respect and humility.